More than 25 years ago, Gene Leyzarovich arrived in his new home of Pittsburgh as a refugee from Russia. A few years later, while he was completing his education at the University of Pittsburgh, Gene founded Advanced Computer & Network Corporation (AC&NC) to build high-performance storage systems, and he has never looked back. 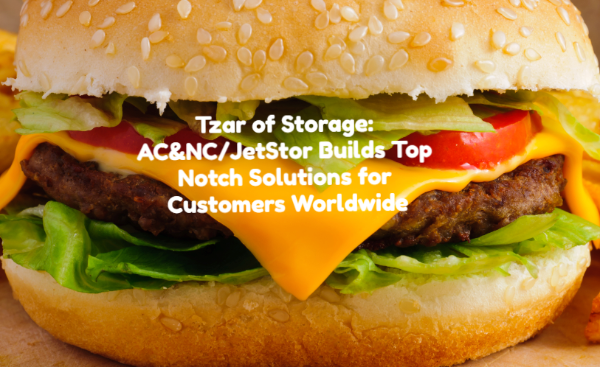 Since its inception, AC&NC has installed its JetStor RAID (redundant array of independent disks) systems for more than 4,000 clients in numerous locations in the United States, Canada, Asia, Eastern and Western Europe, and Australia. AC&NC has built a prestigious customer list that includes companies like Sony, Microsoft, Starbucks, and the fifth-largest food retailing company, Supervalu. JetStor brand powers research in a wide range of disciplines at NASA, Department of Energy, National Institutes of Health, Naval Research Lab, and Pittsburgh Supercomputing Center, supports the work of U.S. Department of State, and helps strengthen world-renowned institutions, from Carnegie Mellon University to Columbia University and Yale University, to name a few.